Running a marathon is a strenuous test of the body and mind. 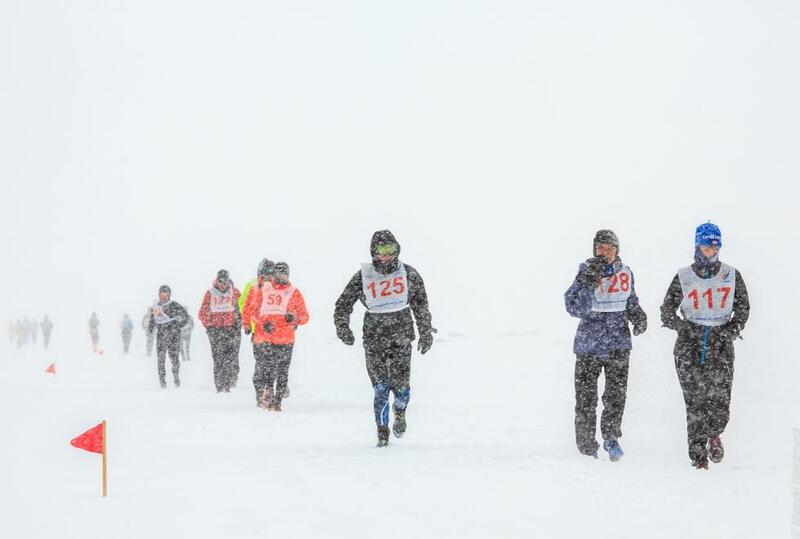 But take that endurance race and put it onto the icy, treacherous surface of Lake Baikal in Siberia and you create the conditions for one of the world’s toughest runs – the Baikal Ice Marathon. All images from Masaki Nakamura. Lake Baikal is the world’s largest and deepest lake, covering an incredible 22 per cent of the world’s surface water. It’s also the oldest lake on the planet clocking in at a ridiculous 20 million years. 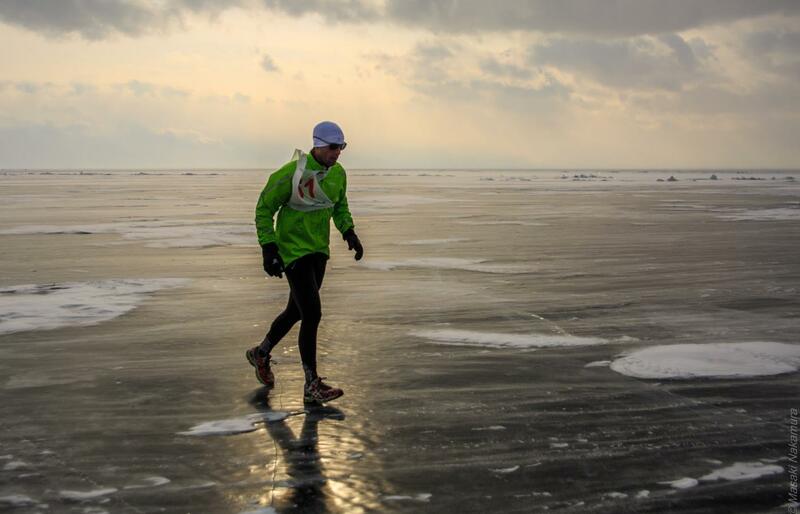 Running from shore to shore, Tanhoi to Listvyanka, you take the 42 km 195 m route a lot slower than most marathons; temperatures can drop to -27°C, the surface of the lake is covered in small mounds of ice rubble and there are 20 general and locally formed winds to battle against. 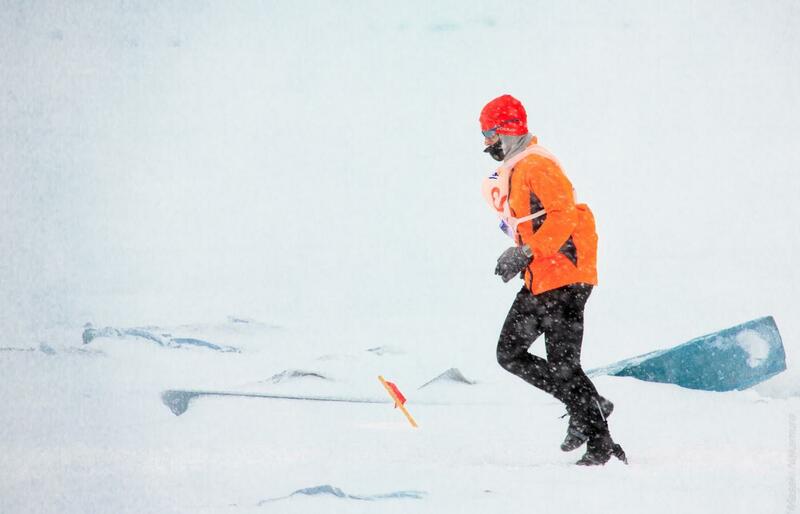 In March when the race takes place the ice thickness is at 1.2 metres thick, but you can still see flowing water underneath in parts so make sure you avoid the cracks. It’s not just the physical exertion and tough terrain you have to cope with. There’s the psychological test of running for miles and miles through a featureless landscape granting no sense of perspective to the competitors. Guiding the way are flags every five kilometres and food and rest stops along the way. You will be joined by other fanatical runners from across the world with 120 participants from 50 countries competing in 2014. 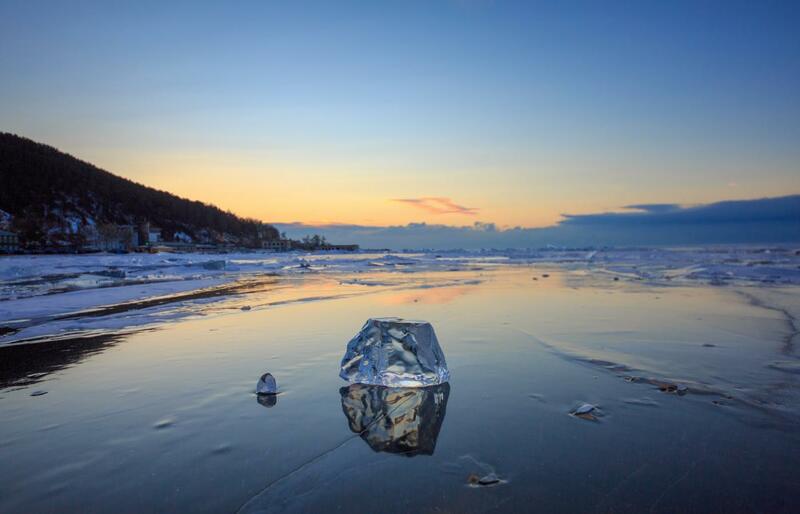 Lake Baikal is an UNESCO World Heritage Site, so running here the organisers are very conscious of protecting their surroundings. Dropping litter en route can lead to disqualification as the area needs to be protected to ensure the fauna and flora are not disturbed. Lurking in the lake’s depths of 1,700 metres are species found nowhere else on earth and you definitely do not want to be responsible for any damage there.